In an ideal world, everyone would learn first aid and know what to do in case of emergency. Barring that, however, the next best thing is that regardless of what I do or don’t know, I can have instant access to the information I need when I need it. 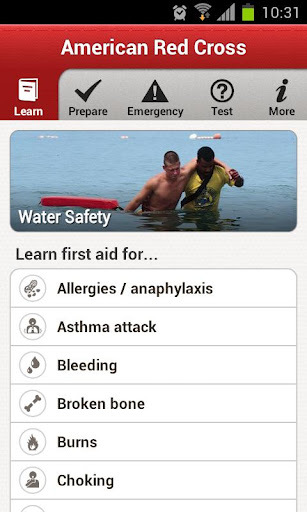 The Red Cross is trying to make this a reality with “First Aid – American Red Cross“, a new app for all Android 2.2 and up mobile devices. With a menu driving interface, the app with walk you through any first aid scenario. With videos, illustrations, quizzes and more, it’s hard to see how they could have done any better. You can always download my “The Basics of First Aid” manual and keep it in your back pocket at all times but it seems to me that this app might be a lot more practical.